During National Nurses Week, Harris Health System would like to extend a special thank you to our nurses, as you continue to provide the highest level of quality care to your patients. You deserve special recognition for your efforts to inspire, innovate, and influence every day! Harris Health System will celebrate National Nurses Week May 6th - May 11th 2019. In addition to pavilion activities/events, we will be honoring our outstanding RNs and LVNs with our 3rd annual black-tie Nurse Gala & Awards Ceremony. 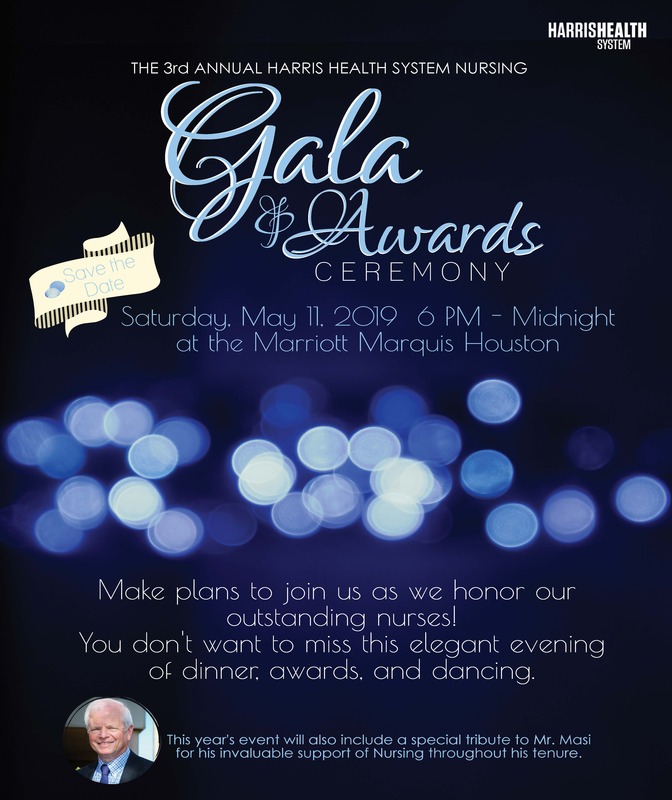 Nurses, plan to come out for a night of food, awards, and dancing as Harris Health System shows its appreciation of the great work you do every day!